Have we allowed policing powers on some issues to go too far? What says Memorial day in Michigan, more than an emptied beehive of police cruisers out to sting anyone they can? 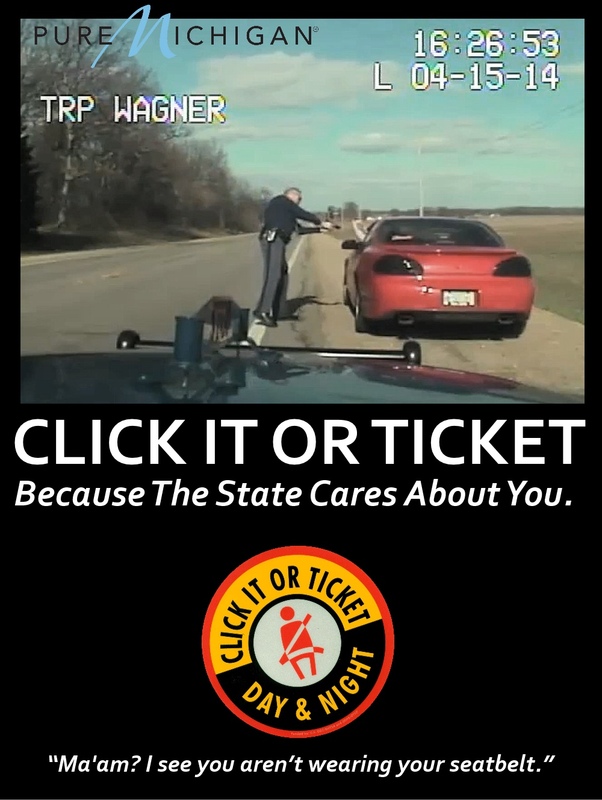 Its the annual tradition of seat belt oppression on Michigan roads and highways. With grants providing overtime and special enforcement zones, this weekend’s vacation fun should fatten the local coffers and library penal fund balances right up. Most of our Michigan governments have been asked to accept such funding on behalf of their policing units, so as to enforce more rigorously, a regimen of protecting us from ourselves. Sadly, the same legislature that allowed the return of helmet less motorcycling, has yet to reverse the 4th amendment violating features of seat belt enforcement. The original law, supposedly a non actionable civil infraction, now enshrines the means for abusive police action. “Introduced by Rep. Ray Franz (R) on May 22, 2014, to urge all Michigan citizens to observe Memorial Day and to recognize and contemplate the true spirit of the holiday by remembering those brave and courageous souls who have laid down their lives in defense of our nation. has not likely considered the freedoms those fallen have earned for us with their sacrifices. It would be my hope that the memories of those who fought for an idea of freedom that rejects government control over the individual would be honored properly by actually engaging and implementing that idea, NOT by working against it. May God bless our fallen, and may their service on behalf of a FREE nation not be desecrated this weekend. Oh, wait, yes they do, it happened to me yesterday. Passed six cruisers out today on way to office. Insane. True, they never tag a false positive- like shooting "threatening" poodles, it's always righteous. Oh, it's not just limited only to Michigan. Getting back into town recently, I can tell you first-hand that there was a very noticeable presence not only in Michigan, but in Ohio, Indiana, Kentucky and Illinois as well. It just warms my heart to see that there have been no pressing crimes committed like sexual assault/murder, drive-by shootings, bank robberies or other more serious crimes (those where the "victim" is not the person doing the act and it affects no one else). I'd hate to see that extra manpower that could be used to more productive ends wasted on something superfluous like a naked PR media campaign/money grab.